After building this boat at age 16, Brandon Camp writes "It is Ken Hankinson's design, Buckboard, purchased from Glen-L Marine Design. It has a length on deck of 11'11" and a beam of 36", and weighs 85 pounds. 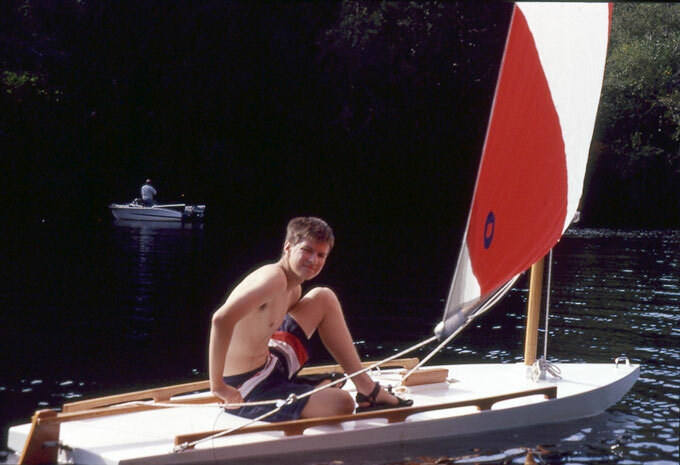 The rig is a 66 square foot lateen sail, which can keep up with my Mom's Lido! The hull and frames are made of 5 mm plywood, coated with epoxy. The mast, spars, and rails are of Sitka spruce. The rudder, daggerboard, and tiller are made of old growth Douglas fir, which we sawed on our Woodmizer Mill. 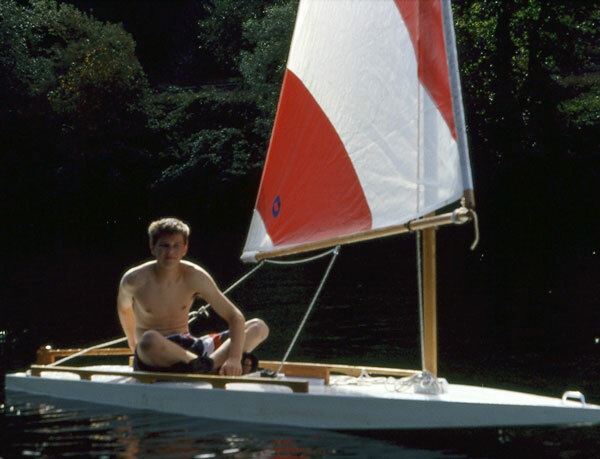 I am planning on sailing it on Fern Ridge Lake near Eugene, Oregon."